As soon as I finished reading the first novel (Divergent; check out the review here) I started the second one! I was hooked and couldn't wait to follow some fantastic characters on another mission. 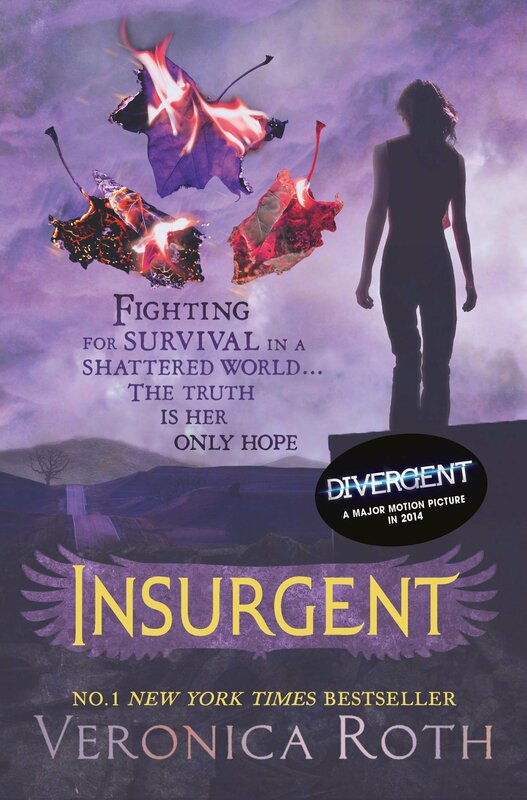 In this sequel we follow Tris as she tries to take down the faction that destroyed her home. This book was just as gripping as the first. I was hooked the entire way through and it only took me 2 days to complete. It was fast paced with so many twists that I kept finding myself asking who can be trusted. One character would turn out to be helpful and loyal and then suddenly they were actually on the other side! Linking to this, the characters were just as realistic as they were in the first novel. We saw more sides to the characters we've known, like Tris and Caleb, but we also meet new characters and see their multi-layered nature, such as Jeanine and Peter. I also really enjoyed the romance. I'm not a huge fan of romances however I found this one interesting because it didn't just show the happy times and passionate love, it showed the couple's arguments and difficulties in trusting each other which happens in all relationships. It was really nice to see this side of their relationship and see that despite their flaws, they love one another so strongly that they'll still stand together. Finally, the ending. This was insane! We finally discovered the secret that had been forshadowed the entire way through this novel and it did not disappoint. I was so shocked because I had no idea what to expect but this was better and left me wanting to read on immediately! This is one of the strongest cliffhangers I think I've ever come across. Overall this was a really intriguing sequel. It was strong and illustrated many new sides to the characters as well as involving multiple twists and turns. I would definitely recommend Divergent and Insurgent to anyone who needs an action-packed, page turner to read next!